The following poem comes from Gerry LaFemina’s forthcoming collection, The Story of Ash. 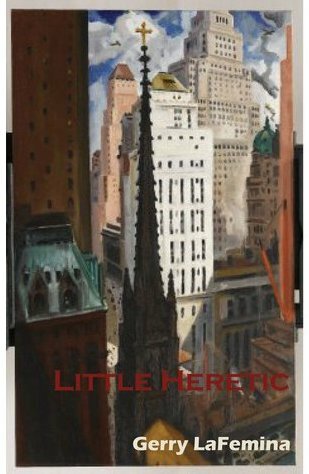 His latest collection, Little Heretic, is available here. just one more transgression for St. Pete’s ledger. studied the frequency at which her body shivered. their reluctant prophets, their joy. night traffic with its monotonous homilies. for parishioners, priest, & novitiates. six fire-and-ice roses, baby’s breath. I bore that gratitude like a memory of a kiss. Stunningly……..stunning…..no words. I fear that LaFemina might be my jam ……….. for those who love me, I think his collection might be all I want for Christmas. We’re going to be posting more of his new poems in the next couple weeks! Keep your eyes peeled. They are so, so good. OMG – what a poem! I know Gerry…such beauty swirling in his brilliant and lyrical mind. If you’re ever lucky enough to hear him read in person, you won’t be sorry.